Making Sure Your Dog Loves Your Baby: A Pro-Train Innovative Exclusive! Pro-Train Innovative Dog Training is offering a Baby Program for new parents and their canine companions. Affectionately called “Making Sure Your Dog Loves Your Baby”, Castillero has now trained over 100 prospective parents using his animal behavior expertise. The 10-day program starts while the parents are expecting and continues once baby has arrived. 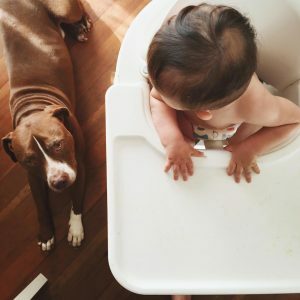 The innovative program helps teach beloved furry family members how to handle baby’s cries and teaches the beloved pet the needed boundaries for baby and the parents. From stroller walks to keeping clear of baby’s blankets, the Pro-Train Baby Program has had a 100 percent success rate. Rachel and Rico were elated with their experience with their pit bull Lou, and their new baby girl. “When we found out we were expecting a baby, one of our main concerns was whether our dog would do well welcoming a new person into our home. Thanks to Mark’s baby program, there were no problems. He’s loves going on walks and does well with the stroller…isn’t afraid of it and heels well. Then when the baby cries he seems totally un-phased. It has been a smooth transition and we are so glad Lou went through the program, said new mom Rachel. And there are countless other testimonials about the program. 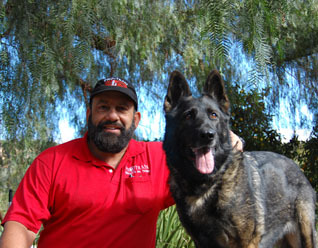 To learn more, contact Dogman Mark directly on his cell at 760-809-9148. Hope you are all doing well this holiday season! First and foremost, we’d like to thank you all for your continued support and confidence in Pro-Train Innovative Dog Training. Rest assured that we keep on giving the best we can for you all – and for your lovable canine. Speaking of the holiday, we are excited to announce our refresher dog training course, which you can take advantage of for your beloved dog. This refresher maintenance training program, which is perfect for the holiday break, is offered FREE to previously Pro-Trained clients who decide to board their dogs with us. 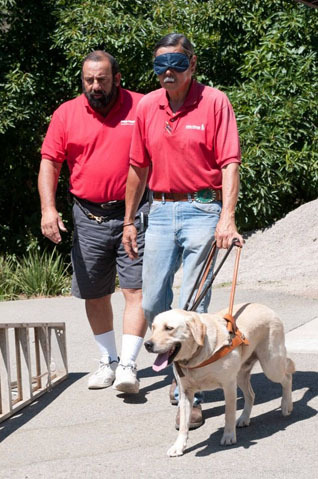 Sure you sent your dog at some of our training classes before, but with this refresher course, it will give reinforcement on the basics skills (attention, sit, lie down, wait and stay, loose leash walking, come when called) they have acquired in the past – and they will learn more! And, it will refine your skills too…It’s a good opportunity to fine-tune your knowledge in dog commands – from basics to more complex ones – and better dog management skills. Now is the time of the year when we get extra busy and neglect our dogs. Days are shorter and colder and walks and hikes are not as easy as in other seasons. So give yourself a holiday break and think about boarding your dog at Pro-Train. Consider it a Free Tune- Up! Boarding is only $40 per day and includes a free bath as well as the free tuneup training. New training enrollments usually slow down during the holidays. So we can offer good deals to entice you to commit now and keep us busy this December. Schedule a training consultation and let’s see what we can do for your particular situation. 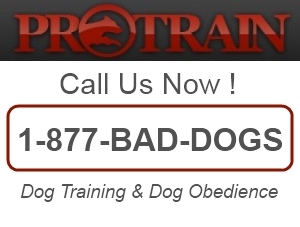 Email us at protraindog@gmail.com or call us today at (760) 749-0897 or 1-877-BAD DOGS! Wishing each of you a very safe and enjoyable Holiday Season! DogMan Mark Featured in National Digi Magazine! DogMan Mark, one of the founders of the California Kennel Association and the Director of Training for Pro-Train, a premier provider of protection dog training in San Diego, was recently featured in National Digi Magazine and more details about it can be found in the article written by Amanda Bell for Angie’s List Weekly entitled Protective Pets: Train a Dog to Guard Your Property. 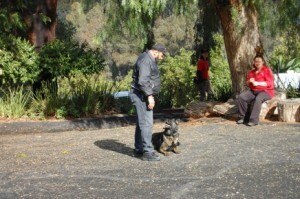 Interested in a personalized protection dog training San Diego? Send your inquiries to Pro-Train today. 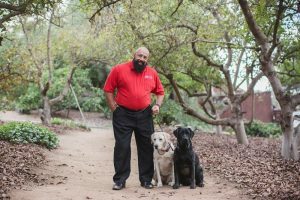 With over 40 years experience Pro-Train certified dog trainers will provide the absolute highest quality private dog training lessons you’ll find anywhere in North County and San Diego, CA!